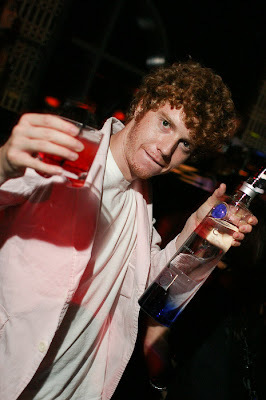 TAO GROUP BLOG TAO NIGHTCLUB LAVO NIGHTCLUB TAO BEACH LAS VEGAS: CHESTER FRENCH AFTERPARTY AT LAVO! 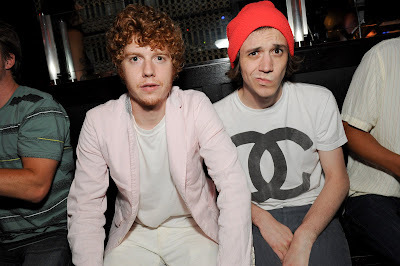 LAVO served as the concert after party for band Chester French. The up and coming stars, fresh off the stage after opening for Blink 182, headed to LAVO for some post show nourishment. A three hour feast of Italian specialties fueled them to head up to the nightclub to continue the fun. The band, which is signed to Pharrell Williams’ Star Trak label was thrilled to return to LAVO after visiting the hotspot with Williams for the N.E.R.D. concert after party last year. In the club Ciroc and Dom Perignon Rose flowed, while DJ Skratchy played tracks of their popular mix tape Jacques Jams. The duo stood on the banquettes and did the classic fist pump as they danced well in to the wee hours of the morning. Also spotted at LAVO, actress Mena Suvari and her fiancée Simone Sestito having a romantic dinner. At a separate table in the dining room was Portland Trail Blazers center Greg Oden. After dining with friends the NBA star headed to the nightclub for Dom Perignon and Patron, where he was joined by former NBA player and TV analyst Kenny Smith. Actress Ashley Newbrough from TV’s Privileged and her best friend, visiting were seen dancing around LAVO while drinking Grey Goose and cranberry cocktails. Over at sister hot spot TAO, NFL free agent Brian Simmons was spotted with friends and family. Drinking Patron on the rocks, the group enjoyed the sounds of DJ Reach.